If you want to give your home an elegant, stately and refined look you should consider heritage fencing. 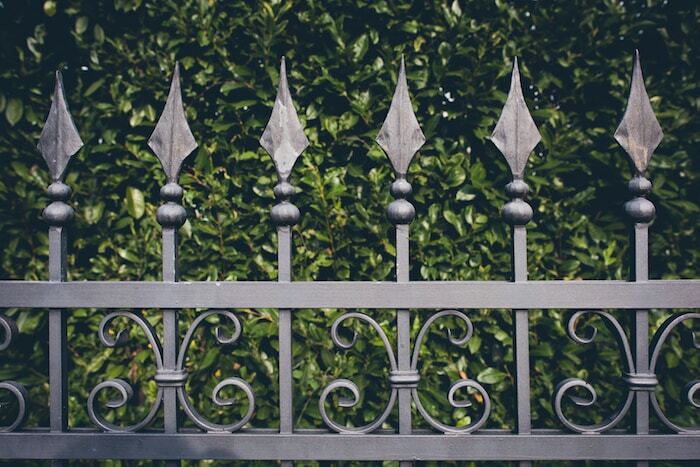 Heritage fencing encompasses a number of aesthetics, ranging from wrought-iron to woven wire, to wooden picket and elaborately-designed steel fencing. Everlast Services is the master of all of these looks. We have our own steel fabrication plant meaning you have an unlimited amount of customisation options at your disposal. We’ve been designing, fabricating and installing heritage fences for over 20 years meaning we’ll be able to create the perfect option for your space. Our ultimate aim is to prove our client with a heritage fencing option that caters to their budget, aesthetics and security needs. That means our fences will look good, protect your property and last forever without blowing the budget. By choosing Everlast you are choosing a company that is committed to giving back to the local community and the local economy. We source our products from local suppliers and we fabricate our own steel which means more jobs and more money staying where it should be. Our ability to fabricate our own steel also allows us to maintain strict quality control over our products, you can rest assured that anything we install will be of the highest quality and designed to last a lifetime. Everlast Services is committed to making our services available to everyone. That’s why we have worked hard to develop relationships with suppliers so we can pass on quality products at reduced prices. Any savings we find are included on your quote. After 20 years in the industry we know how to make a fencing project run smoothly. We take care of everything and keep you informed throughout the process. Nothing will happen without your permission and you won’t have to lift a finger – no stress, just the perfect heritage fence for your property. We can do much more than build fences. We offer the full suite of home beautification services. We can install everything from driveways, to pergolas and decks.